Counts 1 hour by minutes. Long 3 second ring. Large knob - easy to turn. 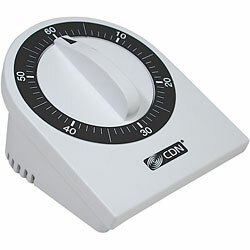 Sloped dial - easy to dial. 5 year limited warranty.